We are very pleased to announce that we have won the Regional Law Firm of the Year title at The Lawyer Awards 2012. The prestigious award recognises the firm’s strategic vision, consistent delivery of excellent client services, a strong client base and spread of work, as well as its excellent financial performance. The awarding judges’ decision to give Muckle LLP the award followed an extensive evaluation process that concluded that the Newcastle-based firm is the best outside London. They were impressed by Muckle LLP’s commitment to the North East region, whilst continuing to win national and international work. 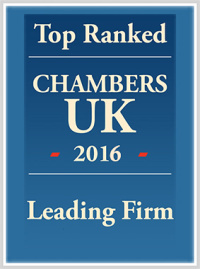 They recognised that Muckle’s commissioning of Deloitte to undertake a review of their work and market position, gave clear evidence of its exceptional performance, particularly in comparison to many larger law firms across the UK. Muckle LLP’s financial performance is also bucking economic trends. Its turnover increased by 10% in 2010 and by a further 16% last financial year. The firm prides itself on the calibre of its people and has a strong belief that they are central to providing the excellent client service that it has developed such a reputation for. The firm’s latest annual engagement survey shows that 96.3% of people at Muckle LLP felt they had a clear understanding of the firm’s strategy and vision, 95.6% said they understood and were committed to the firm’s values and 94.1% said they were proud to work for Muckle LLP. The firm’s commitment to making a substantial contribution to the community is also a key part of its ethos. Every year the partners donate 1% of profits to a charitable trust which provides grants to local causes, including many which people in the firm are involved with. Muckle’s lawyers provide pro bono work for local charities and many people give their time as trustees, school governors or members of management committees to organisations needing skilled and enthusiastic support. One of the judging panel members awarded Muckle full marks “for its impressive financial performance coupled with a strong commitment to social responsibility projects, focusing on making a contribution to the community.” The judges said that Muckle sets an example not just at the regional level, but at a national level too. This award follows hot on the heels of Muckle LLP acting on the recent AIM listing of Utilitywise. This is the first listing in over 5 years for our region, and it secured a significant capital investment in the business to fund its future growth strategy. Stephen McNicol, managing partner at Muckle LLP, said: “We are not the largest of regional law firms, but we have an excellent team of people and some fantastic and very supportive clients. Over the last couple of years we have really focussed on developing very strong relationships and empowering our people to provide the best advice and service they possibly can. This award hopefully recognises the success that we have had with this strategy. The award is the latest accolade which recognises Muckle LLP’s success. Earlier this year the firm won the Heart of the Community Award in recognition for its work in helping local communities. 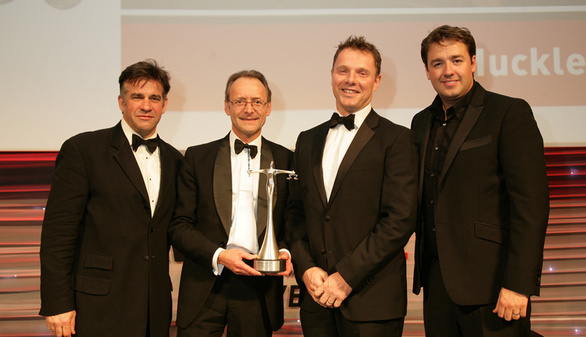 It was also named as Corporate Law Firm of the Year for the fourth time in the North East Insider Dealmakers Awards 2011.